Dr. Patricia D. Galloway, Chief Executive Officer, Pegasus Global Holdings, Inc.
Dr. Patricia D. Galloway is the chief executive officer of Pegasus Global Holdings, Inc. an international management consulting firm. She served as the first woman President of the American Society of Civil Engineers (ASCE) and was appointed by President Bush to serve on the National Science Board with her term ending in 2012. She served as its Vice Chair from 2008-2010. 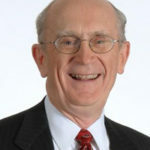 Dr. Galloway has been an arbitrator with the American Arbitration Association (AAA) since the late 1980’s and serves on its Commercial and Construction panel; is a member of the International Center for Dispute Resolution Panel; is a member of the AAA National Construction Dispute Resolution Committee (NCDRC); and serves as a member of the AAA Board of Directors. She has served as a sole arbitrator, Chair and member of three-member panels arbitrating a large number of disputes involving commercial and construction issues of private and governmental facilities in the energy, process, and building industries with claims ranging from US$100,000 to US$200 million. Dr. Galloway has also served as both a consulting and testifying expert in numerous domestic (AAA) and international arbitration forums (International Chamber of Commerce (ICC) arbitrations, UNCITRAL, SAIC, London),with disputes ranging from US$1 million to US$6 billion. As a leader in the field of engineering and construction, she is regularly consulted by private and public organizations and international investment banks on trends in the industry; the media regarding current topics and events; universities seeking input on university curricula, mentor programs, engineering education, and diversity issues; and professional societies relative to topics of interest to its membership. She is a licensed professional engineer in 14 U.S. states, Canada and Australia and a certified project management professional. 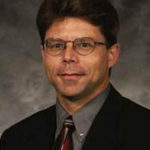 With over 30 years of experience, Dr. Galloway has extensive international experience having traveled to over 100 countries and having worked on numerous domestic and international engagements including megaprojects, that by industry definition, involve large investment projects, which attract a high level of public attention or political interest because of substantial direct and indirect impacts on the community, environment and budgets are generally defined as major infrastructure projects costing more than US$1billion. She has served as an advisor to multiple Owner and Contractor clients including board audit and compliance committees and has served as a member of various risk management assessment and independent review panels. She holds a certificate in Director Education by the National Association of Corporate Directors and has served on a number of private and non-profit boards. Dr. Galloway is an elected member of the National Academy of Construction (NAC) and the Pan American Academy of Engineering, where she serves on the board of directors. Dr. Galloway also serves of the Advisory Boards of the Discovery Science Channel and the Governor’s Eastern Washington Advisory Council. Dr. Galloway is a prolific writer and world renowned speaker having authored over 120 papers, 30 peer reviewed journal articles and nearly 200 public speaking engagements regarding leadership, corporate governance, ethics and professionalism, communication, risk management, dispute resolution, contract administration, program and project management, and women in engineering. She is the author of The 21st Century Engineer-A proposal for engineering education reform, published by ASCE Press.